Wow, can you believe that it's almost 2013? 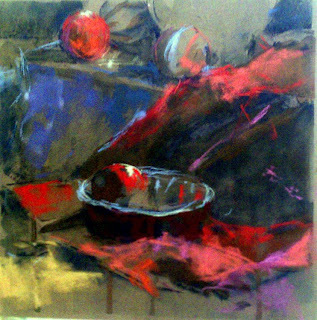 It was a year ago January that the First Coast Pastel Society began, and by the end of the year we were well on our way to 40 members and had become a member of IAPS. 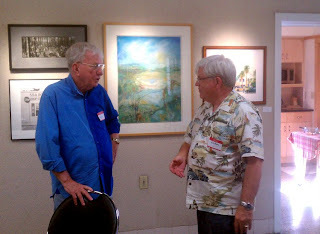 We had fun meetings and a painting exchange and great plein air paint-outs. In the upcoming year we will have at least two workshops that we are hosting, and will also hold our first member show. But in the meantime we will kick off our new year with our January 2013 meeting. Once again we will hold our meeting at Reddi-Arts, whose gallery will host our first member show. The meeting will be held on Saturday, January 5, 10 AM to 12 noon. Our topic is "group critique and what judges are looking for". Please bring two paintings to the meeting. They can be finished paintings or ones that are in-progress. We look forward to seeing everyone! As our first year comes to a close we are reminded that we've accomplished much and made many new friends in 2012. 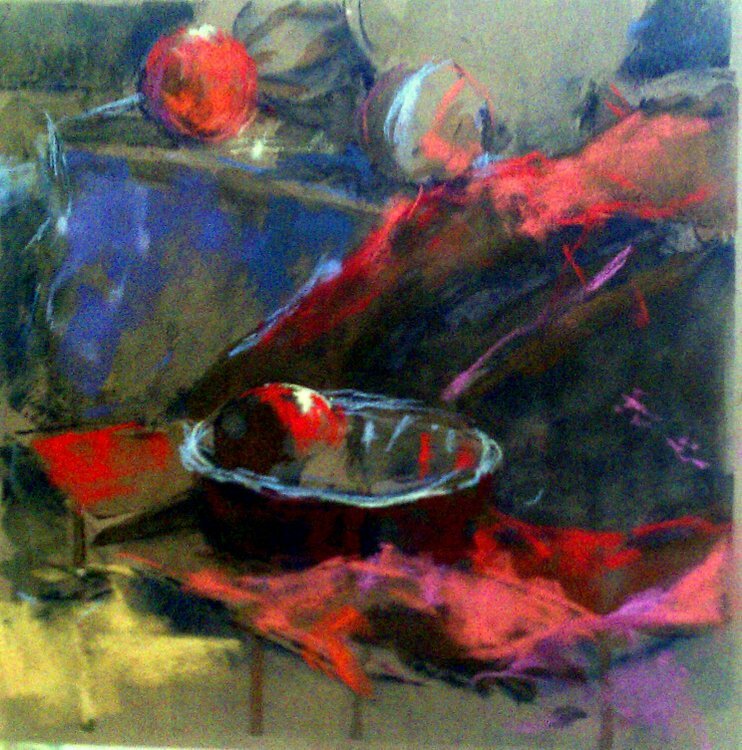 We are grateful for your enthusiasm, and your commitment to our group and to the pastel medium. Our calendar next year is filling up quickly with plans for our first Members' Exhibit and our first workshops. We hope you'll join us for all the excitement 2013 will bring! Our very best wishes to you and your families for a joyful holiday season and a very happy and healthy new year. 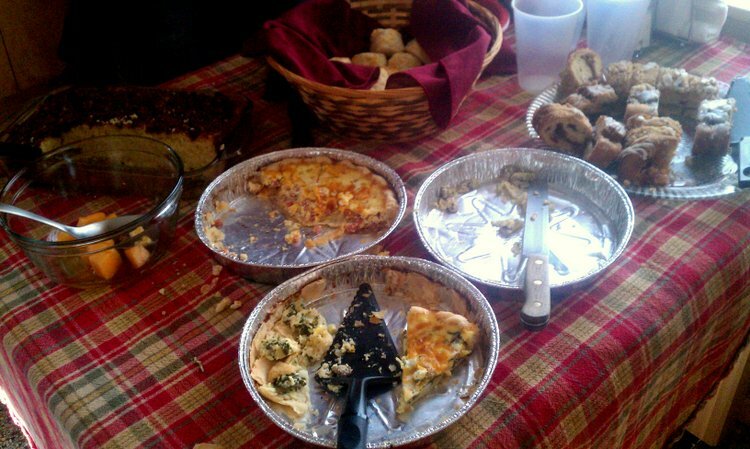 Today was our last meeting of the year, and we had a lovely holiday breakfast together at the St. Augustine Art Association. 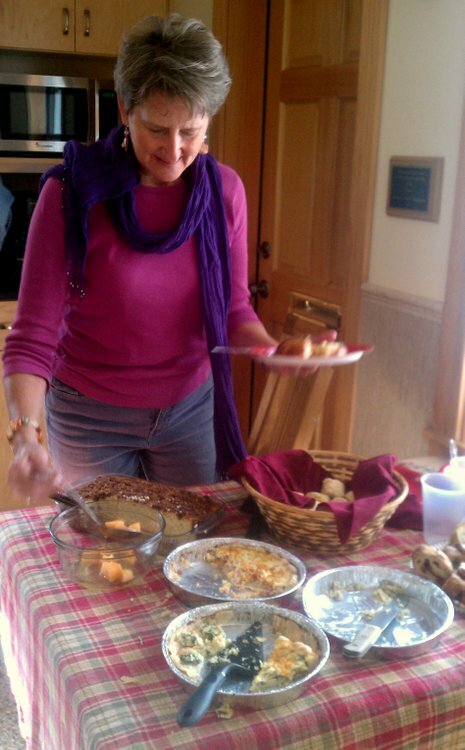 Many thanks to our President, Lyn Asselta, for providing the lovely feast. We had quiche and biscuits and coffee cake and cantaloupe and fresh hot coffee! And just being together for a holiday meal was a lovely start to the day. 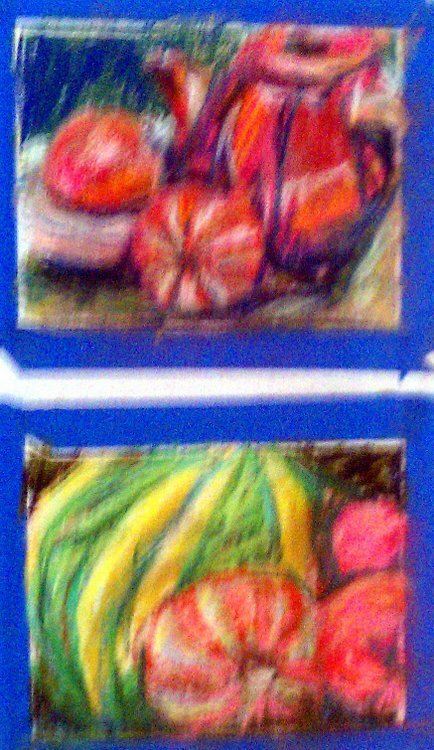 It was great getting together with other pastelists. And being able to chat with folks we don't see that often and catch up on news and happenings. 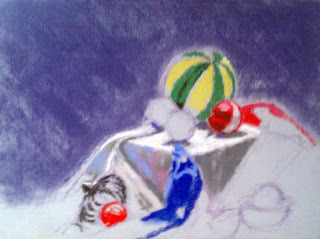 Normally this would have been a plein air day, but we decided to hold it indoors and set up still lifes for all of us to work on today. This turned out to be a good idea when a rain squall came through about halfway through the morning. 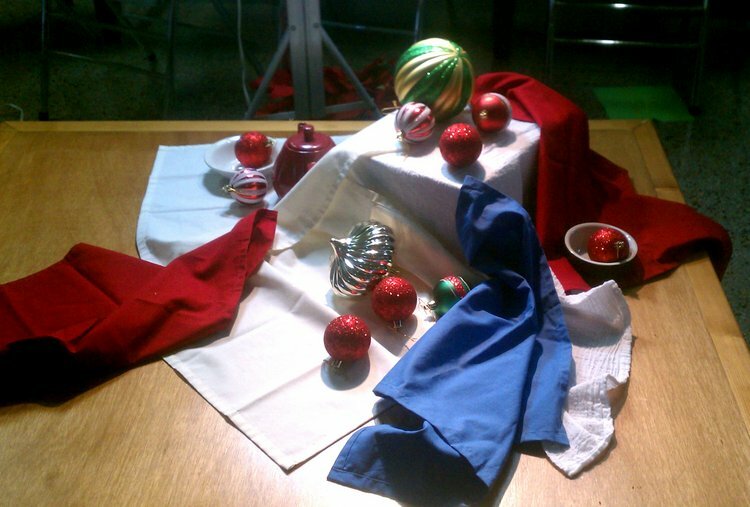 Because of the holidays the theme of the still lifes was Christmas ornaments, with various ornaments set up in different directions so that we all had something to work on no matter which way we were facing the setup. Following are looks at the work people started during the morning. Because of the time allotment most of these are clearly still works in progress. But we all had fun being together and look forward to all the events that will be happening in the new year. 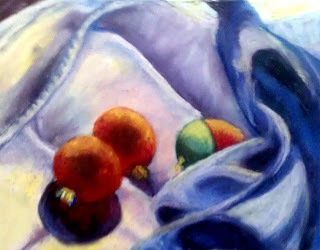 Please join us for a casual holiday breakfast and a few hours of still-life painting! 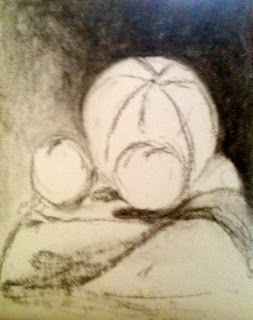 Bring your pastels, paper and a support for your paper. 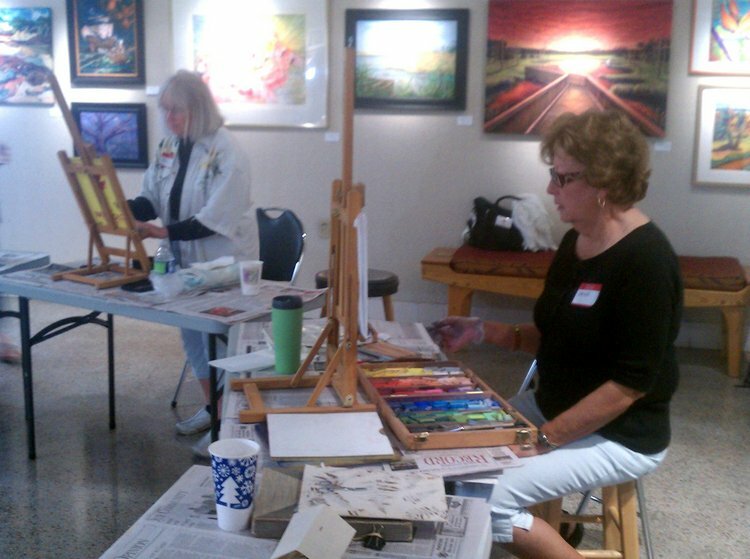 There are easels and table easels available at the Art Association. 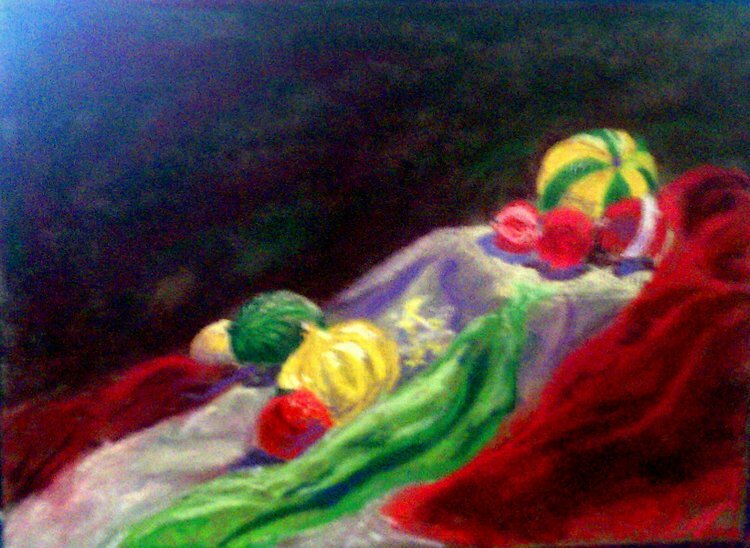 We will have several still life set-ups available for you to choose from. The Art Association suggests a $5 per person donation for use of their space. FCPS will meet you to pay for your parking. Please RSVP to lynasselta@comcast.net so we'll know how many easels we'll need. Happy Holidays!! Hope to see you there!! 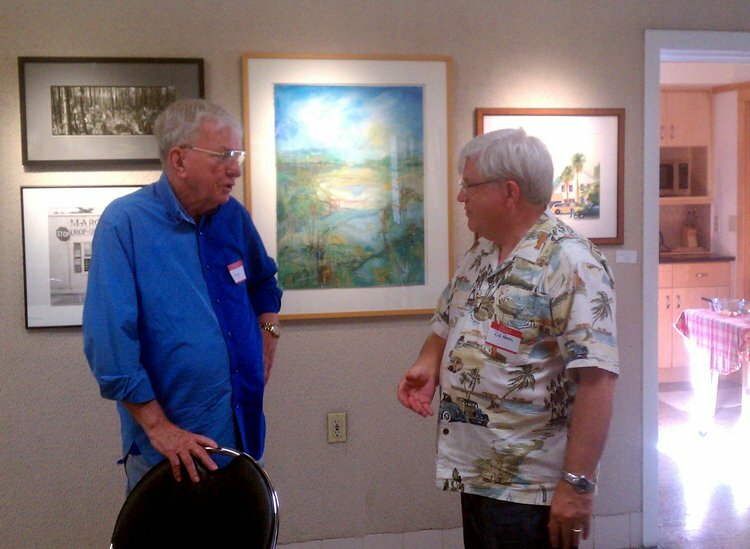 The First Coast Pastel Society held its November meeting last week at Reddi Arts in Jacksonville. It was great to see our society continue to grow! It shows that there is a need for our organization this area. We are already up to 35 members and hope to see more before the end of the year. Remember, if you join now you will get a membership good through the end of 2013. Our President, Lyn Asselta, gave a demonstration on framing. Framing a painting well is key to a good presentation of the whole image. We will be holding our first member show at Reddi Arts next May, and they have reserved the right not to hang works they feel are improperly framed, so this was a timely presentation for all of us. Lyn had a list of all the tools she uses to frame her works, and gave demos on how to frame with a mat, how to frame without a mat, and how to frame depending on if you plan to frame your work permanently or plan to remover the painting from the frame at some later time. We had over 20 members in attendance, which is our best turnout yet for one of our meetings. 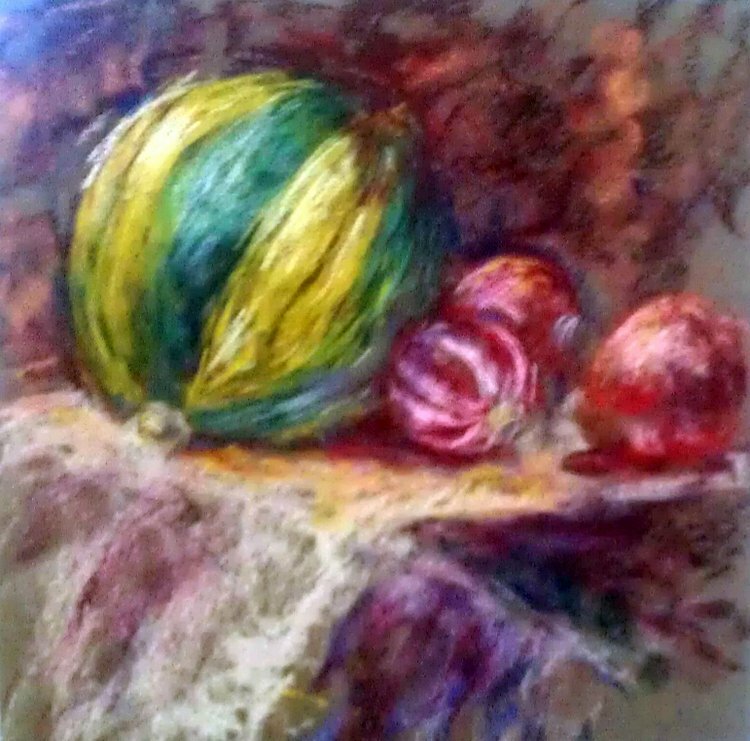 In addition to the great demo the members who were present all received 3 free pastels from Terry Ludwig, a gift to the members from our Vice President, Richard Lundgren, who had been given the samples by Terry. Lyn shows how she attaches a painting to a backing board. 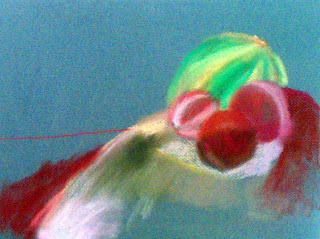 And also shows how she attaches the wire for hanging, once the painting is framed. Everyone was so interested they had to move up closer to get a good view. They didn't want to miss a step. 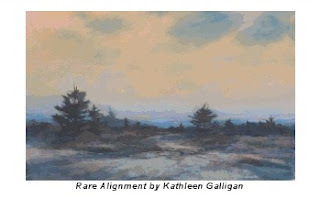 Next month is our usual plein air day, but since it's December we're not sure what to expect of the weather. So instead we plan to hold an indoor paint-out at the St. Augustine Art Association, where we will have have several still lifes set up for members to work from. This will also be our holiday party, so stay tuned to this spot for a lot more details as we get them all worked out. It's time for our November meeting! Our meeting will be held this coming Saturday, November 3, 10 AM to 12 noon at Reddi Arts, located at 1037 Hendricks Ave., Jacksonville, in the historic San Marco district. Following our business meeting our President, Lyn Asselta, will give a demonstration on framing. 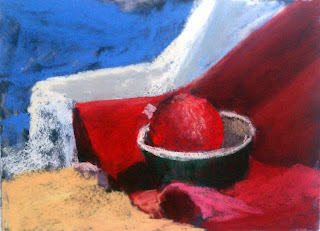 Learn the proper way to frame pastels using mats, spacers, etc. for shows, galleries, or the walls of your own home. Remember that our first member show will be held here at Reddi Arts next May, and they have reserved the right to reject any paintings not properly framed. So this is an excellent demo to attend. Yay, it's that time of year again folks. 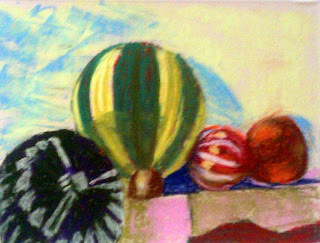 We are getting ready to kick off the new season of the First Coast Pastel Society. Normally we would be meeting on September 1 since we meet the first Saturday of the month, but when we realized that was Labor Day weekend we decided to push the meeting ahead a week, and we will be meeting on August 25th instead. The meeting will be held at the Southeast Branch Library in St. Augustine - 6670, US Route 1 South, St. Augustine. The meeting will be from 10 AM until noon. The FCPS's own Richard Lundgren will be doing a demo for us. I promise this is something you won't want to miss. It's great to watch Richard. We hope you all have had a great summer and gotten a lot of painting done. We look forward to seeing you at the meeting. We have lots of great things planned for the rest of this year and 2013, including our first show and our first workshops. Come to our meeting to hear all of our exciting plans. We hope you all like our group's logo as well. It was created to represent our location along the southeast coast of the US, as well as to be simple so that it can easily be seen even if made very small, or if made to be in monochrome colors. We definitely want the southeast First Coast area to get on the map in the pastel world!